Columbia University Press, 9780231178143, 336pp. As OPEC has loosened its grip over the past ten years, the oil market has been rocked by wild price swings, the likes of which haven't been seen for eight decades. Crafting an engrossing journey from the gushing Pennsylvania oil fields of the 1860s to today's fraught and fractious Middle East, Crude Volatility explains how past periods of stability and volatility in oil prices help us understand the new boom-bust era. 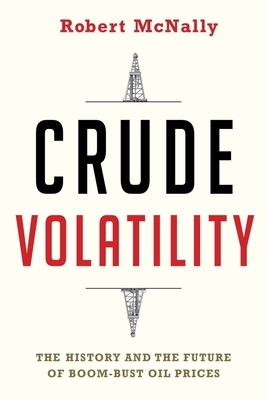 Oil's notorious volatility has always been considered a scourge afflicting not only the oil industry but also the broader economy and geopolitical landscape; Robert McNally makes sense of how oil became so central to our world and why it is subject to such extreme price fluctuations. Tracing a history marked by conflict, intrigue, and extreme uncertainty, McNally shows how--even from the oil industry's first years--wild and harmful price volatility prompted industry leaders and officials to undertake extraordinary efforts to stabilize oil prices by controlling production. Herculean market interventions--first, by Rockefeller's Standard Oil, then, by U.S. state regulators in partnership with major international oil companies, and, finally, by OPEC--succeeded to varying degrees in taming the beast. McNally, a veteran oil market and policy expert, explains the consequences of the ebbing of OPEC's power, debunking myths and offering recommendations--including mistakes to avoid--as we confront the unwelcome return of boom and bust oil prices. Robert McNally is the founder and president of The Rapidan Group, a leading energy consulting firm, and a nonresident fellow at the Columbia University Center on Global Energy Policy. From 2001 to 2003, he served as the top international and domestic energy adviser on the White House staff.